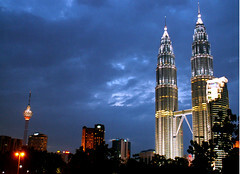 The Malaysian Government has once again delayed replacing the country’s current sales tax with a new Goods and Service Tax system, which could have raised a reported MYR 8.8 billion (approx. USD 2.84 billion) annually. On October 13th the Malaysian Government issued a statement saying that it has decided to indefinitely delay the implementation of its controversial Goods and Services Tax (GST). The tax was originally mooted in 2007, and was aimed at lessening the country’s heavily reliance on revenues drawn from the state-owned oil company Petronas. It was theoretically intended to kickoff a series of tax overhauls and simplifications, which would have potentially drawn a greater number of foreign investors into the country.